It didn’t matter what people thought about her. 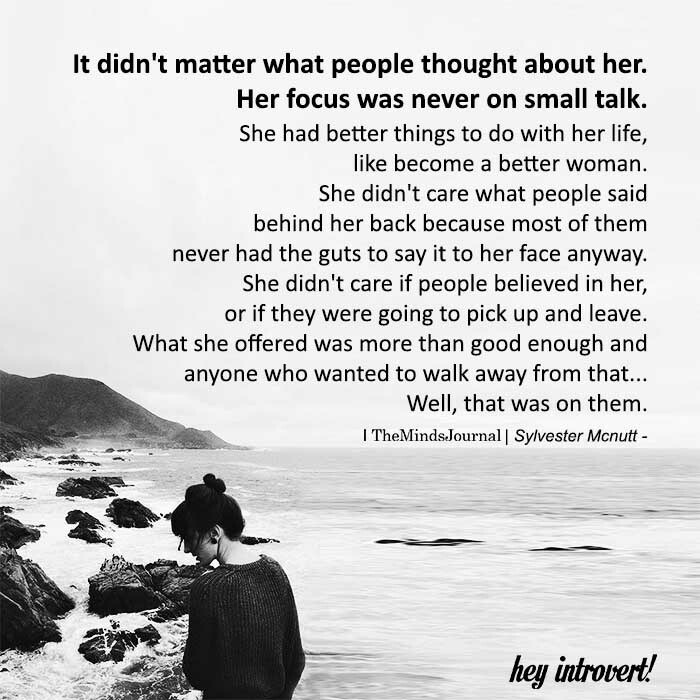 Her focus was never on small talk. like, become a better woman. or if they were going to pick up and leave. Well, that was on them.